Preheat the oven to 375° and liberally butter the shell-shaped indentations in a large Madeline pan. Beat the eggs along with the sugar, vanilla, lemon zest and salt. Stir in the flour just until the dough is well-combined. Gradually blend in the melted butter until smooth. 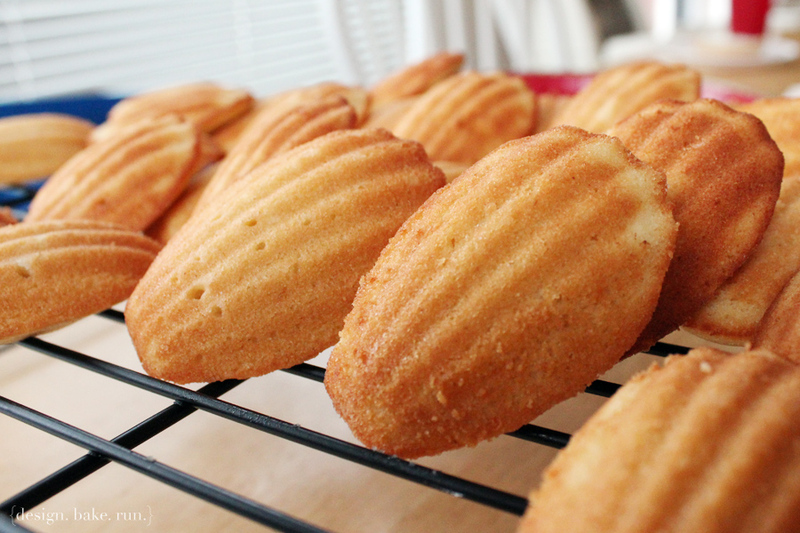 Spoon one tablespoon of batter into each indentation and bake for 10 minutes or until the Madeleines are puffed and golden around the edges. Cool them in the pan for five minutes before removing to cool completely on a wire rack.